SAN FRANCISCO, CA — A mile and a half from Fisherman’s Wharf, Alcatraz was the site of the first lighthouse built on the Pacific Coast, then a federal prison for such notorious convicts as Al Capone. Now it is one of the city’s most popular attractions. Alcatraz was the site of the first lighthouse in the Western United States but became a federal penitentiary from 1934-1963, housing famous convicts such as Al Capone and George “Machine Gun” Kelly. Now, this once infamous prison island is part of the Bay Area’s 80,000-acre Golden Gate National Recreation Area. 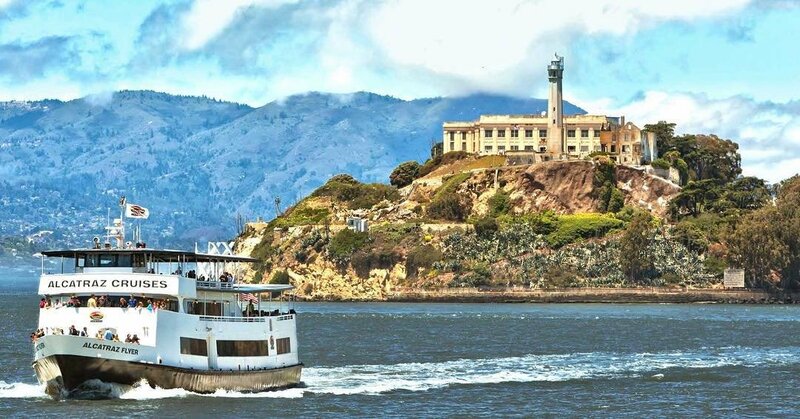 Located one-and-a-half miles from Fisherman’s Wharf, Alcatraz is one of the city’s most popular attractions. A visit to the island includes a tour of the cell house where visitors can see where the prisoners lived. Although the last inmates were transferred off the island in 1963, the main prison block with its steel bars, claustrophobic (9 x 5-foot) cells, mess hall, library and “dark holes,” where recalcitrant languished in inky blackness, is still structurally intact. For additional information, contact the National Park Service at www.nps.gov/alcatraz.